It’s no secret that I love to be organized. Believe it or not, staying organized while traveling is no longer something I dread. This is because I always have with me a few essential items – some good quality luggage, a backpack for day travel and packing cubes to separate clothes are just some of the ways I stay organized. The best travel toiletry bag has also helped me stay organized while traveling – I just wish I had found it earlier! I now bring the best hanging travel toiletry bag every trip, and it works perfect for us. 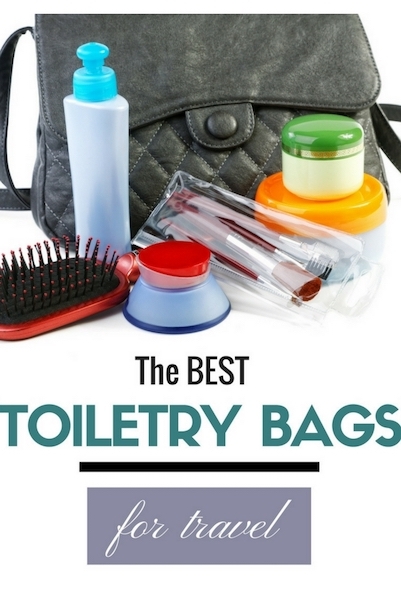 To help you find a top rated toiletry bag, read the toiletry bag reviews below. Hopefully you will be able to find the best toiletry bag for travel for you! 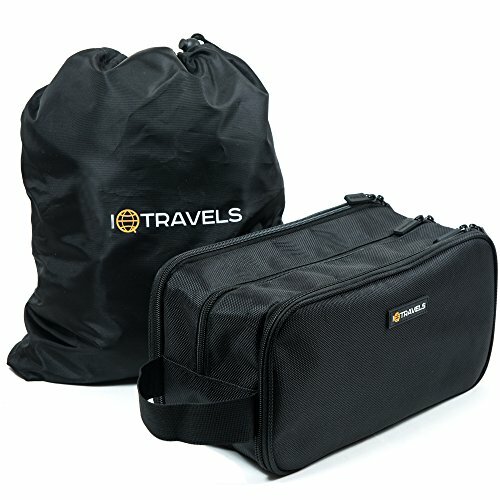 One of the key points to recognize with top rated toiletry bags is that although a toiletry bag may be suitable for you, it may not be suitable for flying. The most important rule to be aware of is probably the restrictions on liquids by TSA which restrict you to carrying liquids under 100ml in your carry on luggage. Of course you could simply pack your liquids into your check in luggage, but this isn’t always an option. 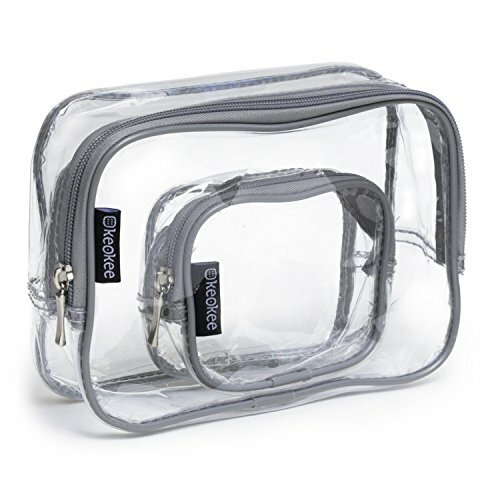 For carry on luggage, I recommend purchase a clear/transparent toiletry bag. Using the best hanging toiletry bag for travel has a few benefits over other styles. They allow you to clearly see the items you have and gain access to them quickly. They also usually have multiple compartments making them a better way to stay organized overall. The best hanging toiletry bag can create a storage space that is perfect for separating items among families. It also saves you from having to unpack everything and repack again, which is definitely one of the most annoying parts of travel. Compartments are another consideration and some people will need more compartments than others. This really depends on the amount of items you’re storing. For my family, the most essential compartment is a place to store our toothbrushes safely away from other liquids. A handle for me is essential– but I must say that this is only the case because I’m traveling with a family. If I were traveling alone, I would use such few toiletries in addition to my toothbrush and hairbrush that it wouldn’t be necessary for me to have a large bag. Handles become more essential when you are carrying a larger amount of items with you, and it gives you the option to carry the toiletry bag separately from your main luggage. 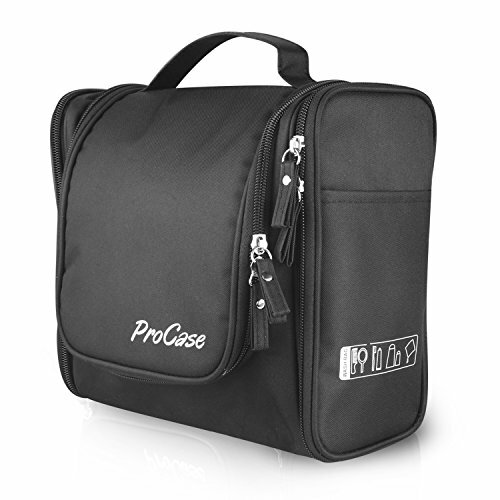 I can’t say enough good things about the the ProCase Toieltry Bag – it has been a life-changer. This is the best large toiletry bag I have owned. Granted, we aren’t a family that carries a huge amount of toiletries, but for the ones that we do carry we have never had to suffer through leaks and spills – and it has happened. The side pockets of the toiletry bag offer exactly what we need – they separate our toothbrushes with slots for up to 4 toothbrushes. The interior can fit a surprisingly large amount of items. We are used to barely scraping by with space, especially when we were traveling with babies! Now that the kids are older (our youngest baby has his own bag), this works perfectly. The hook means that once we get to a hotel we can hang it and forget – we never unpack our items. It really is strong and it has helped to save us valuable time unpacking our possessions. If I had one complaint, it would be the lack of elastic at the top – but any negative is outweighed by the major benefits of this bag. You can check it out for yourself and see the latest prices here. If you’re a single traveler on the go, I would definitely recommend the Dopp Kit. This would definitely be my first option if I were still traveling alone. It would also work as the best toiletry bag for backpacking. It’s pretty clear that some toiletry bags store items better than others. Such is the case for the Dopp kit. 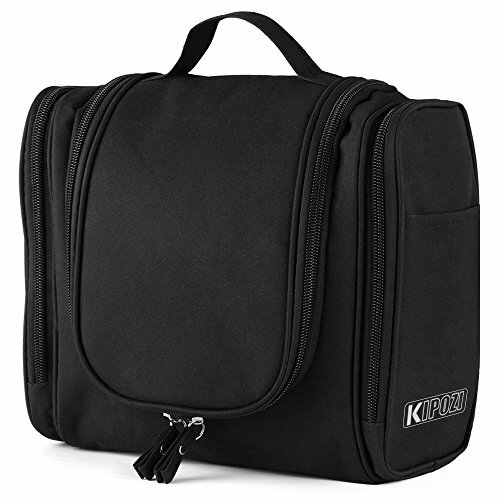 This bag has become popular due to its flexibility and compartments. Keeping your items separated can be a bit of a puzzle at times, but this is why I like the Dopp Kit. This large toiletry bag with compartments has two two flat zippered sides which are perfect for your toothbrush and hairbush. The interior is sectioned off to fit bulkier items and the bag is actually quite large. And of course we all love extras – which is why the addition of the waterproof bag is very welcomed. Let’s face it – its not an essential thing for a secure toiletry bag to have, but it can give you added protection and works great as a laundry bag! 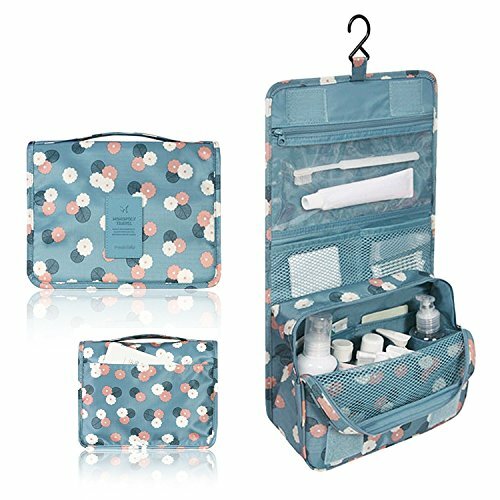 The best womens toiletry bag needs space, and this is why the Mr.Pro Waterproof Travel Kit Organizer is perfect. The main drawcard of what I love about this bag is that it is huge. This hanging toiletry bag for women also looks and includes several colors for you to choose from. Both the interior and exterior of the bag are waterproof. The bag uses zips to separate items, with 3 seperate pockets inside. I also love that there is a tight one for your toothbrush as it minimizes the risk of something getting on it. 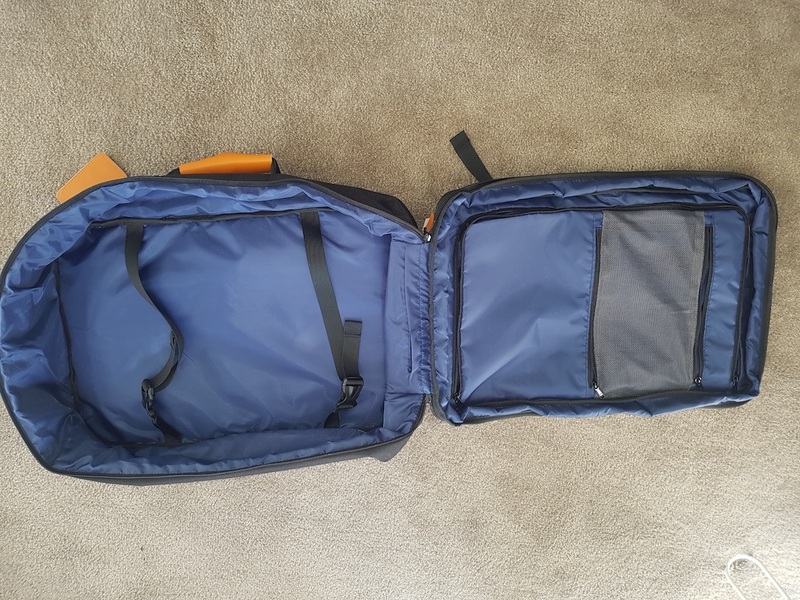 The strange thing about this toiletry bag is that different colors offer their own variations in capacity – this is a review of the 3 pocket version, but check the other colors to see the other styles below. Looking for the best hanging mens toiletry bag can be more difficult than looking for one for women – but certainly not impossible. There are heaps of neutral toiletry bags, and the KIPOZI Hanging Toiletry Bag is available in 2 neutral colors. 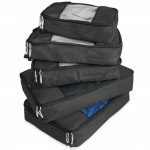 With a simplistic but functional design, the best bit about this bag is the fact that it takes up little space – the bag compresses itself when it isn’t fully loaded and is so well cushioned that you don’t have to feel stressed about anything breaking. This makes it a great option for those with delicate toiletries, such as those made of glass. The bottom of the bag is soft making it even more flexibility – and the hook and zippered areas allow for decent separation of items. The bag is of good quality with decent zippers, but my only complaint is that the front zip would work better if it came out a bit further. However, I still think it’s the best toiletry bag for men and could also be a great option for a couple. Sometimes simply is all you need – and this is exactly what the Keokee Clear Carry On Quart Bag offers. This is one of the easiest toiletry bags to travel with. 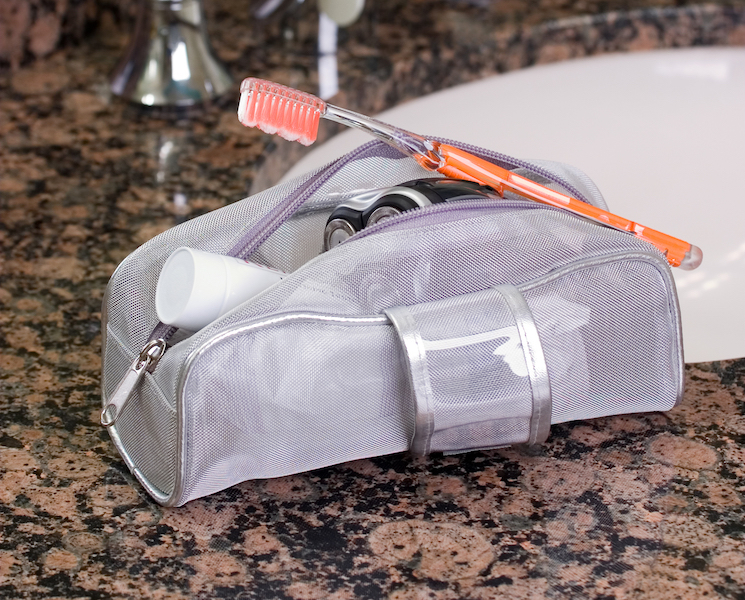 The fully transparent toiletry bag includes two bags – one large bag and one small bag. Essentially, these bags are a reusable and durable alternative to a storing toiletries in a ziplock bag – and a good alternative at that. The benefits of a small toiletry bag made of plastic is that the bag offers to ultimate in visibility and compression. The bag can take up as much or as little space depending on your needs. The smaller bag is great for keeping essential liquids safe from getting over your other toiletries. Although the zipper is heavy and safe – its not waterproof! This is unlikely to be an issue though, and this remains a great lightweight toiletry bag for carry on. What type of toiletry bag do you use? Comment below! Interested in other storage options for travel? 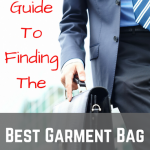 Check out our reviews of garment bags, travel backpacks and packing cubes. 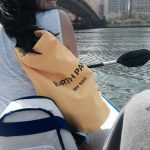 I highly recommend roadeavour’s waterproof travel toiletry kit!